The next day, Indradyumna Swami took Sridhar Maharaja and me to Loi Bazar in downtown Vrindavan to get paraphernalia for our worship. We spent most of the day in various shops, looking for just the right items for the Deities’ service and bargaining with the merchants. Finally, we became satisfied that we had done the best we could for our worshipable Lords—and besides, we all were hungry—and so we returned to the Krishna-Balaram Mandir. During the same stay in Vrindavan, Sridhar Maharaja and I did Govardhana parikrama together, followed by a group of devotees. We had wonderful krsna-katha all around Govardhana Hill. 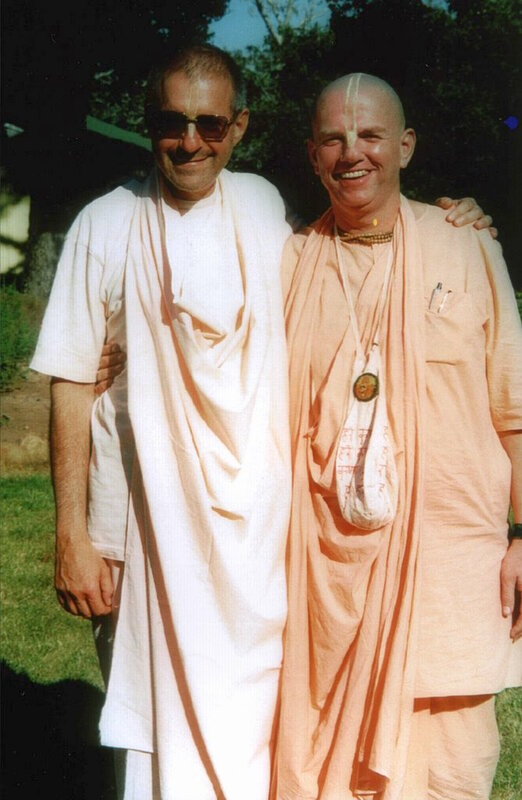 Although we both were ill, we did the full parikrama barefoot in the hot sun, and only afterward did we take prasada at the Bhaktivedanta Ashram. Within a month, we both were in the hospital—he in a coma, with encephalopathy from hepatitis C, and me on the verge of a heart attack, about to have cardiac bypass surgery. Later, Maharaja praised the power of that parikrama—that it put us both in the hospital so quickly. He told me, “The only reason I went all the way around was to keep up with you.” I replied, “But, Maharaja, the only reason I went all the way around was to keep up with you!” Such was our relationship, and such is the mercy of Giri Govardhana. Two years earlier, Sridhar Maharaja had been diagnosed with hepatitis C and cirrhosis of the liver, a severe condition that in the course of time is usually fatal. After Kartik, Maharaja’s condition deteriorated, and some liquid, called ascites, accumulated in his abdominal cavity—nearly twenty or twenty-five liters of fluid, which also caused massive swelling in his legs. So he returned to Bombay for tests and treatment. In Bombay, Maharaja was admitted in the Bhaktivedanta Hospital at Mira Road, which is run and staffed mainly by devotees. There, he had a further reversal, and he went into a coma. Soon, His Holiness Tamal Krishna Goswami and some of Goswami Maharaja’s close friends—Giridhari Swami and Kesava Bharati Maharaja—came from Vrindavan to Bombay to meet Sridhar Maharaja in the hospital. Maharaja was so grateful to them for coming all the way from Vrindavan just to be with him, and their visit had a very deep effect on him. From then on, one of the main themes in his life was how much he appreciated his godbrothers, how much he wanted their association. He would say, “My godbrothers are my life,” and as a humble Vaishnava, he felt dependent on them. Even at the end, when he was in Canada, just before he left for Mayapur, he was asking different godbrothers, “Please help me. Help me to chant the holy name.” He was very, very humble. Eventually, Maharaja was discharged from the hospital, but his condition remained delicate. Many devotees suggested that he return to Vrindavan and spend his last days there, hearing and chanting about Krishna. Again, he was so sincere that he accepted the advice of his godbrothers and well-wishers. But soon he felt, “This is not me, just to sit and chant and hear in Vrindavan.” Again he came to the same point: “I want to preach.” So he stayed in Haridas Prabhu’s vacant flat at Mira Road and met with devotees and friends—and preached. In April of 2000 Maharaja was again admitted into the Bhaktivedanta Hospital, in an early stage of hepatic coma. Later, he had difficulty breathing and actually felt that he might be leaving his body. But he recovered from the crisis, and soon he got the idea that he would like to travel again. And he was adamant. From the medical point of view, for Maharaja to travel was a doubtful decision, but he was determined. His first stop was to be my small ashram in Carpinteria. He wanted to visit, to spend some time with me, and to rest and recuperate. So, the following month, accompanied by Mayapur dasa, who had been faithfully assisting him, Maharaja somehow got on a plane and reached Los Angeles. They came right to Carpinteria from the airport, but by the time Maharaja reached the ashram, he was in terrible condition. We were shocked. He had already been very sick, and then he had caught the flu before leaving Bombay. Some devotees said that he shouldn’t have traveled at all—that he was too sick—and that the disease was affecting his discrimination. But in retrospect, I see his traveling in spite of his illness as a reflection of his love and his desire to serve and preach. And sometimes I take it that he risked his life just to come and visit me. So, Maharaja and I got to spend some time together. He was on a very strict diet that he didn’t much like, and he would cheat a little now and then. One night I went out to a preaching program. Although he wasn’t well enough to come, he encouraged me to go. So we left him in the care of Mayapur dasa and Kuntidevi dasi, who could cook in case he needed anything. After I left, he decided that he wanted to indulge himself a little; he asked for veggie burgers and French fries, which were not at all on his diet. Kunti dutifully prepared the veggie burgers and chips, and Mayapur reluctantly served them. Maharaja ate them, and he was in very jolly spirits. In Bombay we had two aristocratic life members, very affluent yet very devoted—Mr. Brijratan Mohatta and Mr. M. P. Maheshwari. Every Sunday, they and their wives would come to Juhu. Out of their deep affection for Maharaja, these two gentlemen began to call him “the jolly swami” because, well, he was always so jolly. The name stuck, and a few years ago, Maharaja’s brother Stuart actually wrote an article about him called “The Jolly Swami.” It was a nice article and was published in a magazine in Canada. Recently, this nickname became even more popular—and deservedly so, because Maharaja remained so jolly even up to the time of death. Physiologically, there was a certain course to be run, and the doctors were confident that Maharaja would come out of the coma. It just had to be treated in the proper way and the condition would reverse itself. Again, in the hospital, Maharaja’s great affection and care became evident. Because of its malfunctioning, his liver wasn’t able to take out the toxins—that was the basic problem. And eventually the toxins go to the brain and cause encephalopathy. If the toxins in the brain reach a certain level, the patient goes into a coma. Then the process of coming out of the coma and toxic influence is gradual. In a way, you could say that at first Maharaja was sort of delirious. But the beauty of his delirium was that his goodness came out freely: He just wanted everyone to chant. He wanted everyone to become Krishna conscious—the doctors, the nurses, the nurses’ assistants, the room cleaners—everyone. And then, too, Maharaja would think of his family in Canada. He really wanted his brothers, Malcolm and Stuart, to become devotees. He would talk to us about them—not completely coherently, but with great love and care. And he would talk with them, and with his mother and sister, on the phone. He saw some spark in them that he wanted to fan. He really wanted them to become devotees. Maharaja’s sister, Fiona, was just wonderful—so helpful and responsible. And eventually his brother Malcolm came down and stayed with Maharaja and us for a while. Also, Hridayananda Maharaja visited Maharaja in the hospital. And again, Sridhar Maharaja was so appreciative. The two of them joked a lot, and soon Sridhar Maharaja was discharged and came back to our ashram. Despite his trying medical condition, he really was “the jolly swami,” so friendly to the nurses and staff and everyone. From then on, despite his hepatitis, Maharaja traveled a lot, sort of like Prabhupada—six months or so in India, based in Bombay, and six months in different places around the world. He would visit London and Croatia and Slovenia, and he made a point to always attend the New York Ratha-yatra. And he would regularly visit Alachua, Los Angeles, Vancouver, and even Brazil. He had many disciples in Croatia and Slovenia. Many of the young people there became initiated by him. January 14, 2003, marked the twenty-fifth anniversary of the grand opening of the Juhu temple, and Maharaja took the lead in arranging the silver jubilee celebrations. He wanted every devotee who had ever served in Juhu, especially in the time leading up to the grand opening—which was basically when Srila Prabhupada was personally present—he wanted every one of them to come. The Juhu temple had a modest budget to help devotees with their airfares, but eventually another very nice devotee in Bombay, Krsnacandra Prabhu (Hrishikesh Mafatlal), gave several lakhs of rupees to pay for devotees’ tickets. Maharaja tracked down every Prabhupada disciple who had served in Bombay. He phoned and personally requested each one to come and then offered free tickets as needed. So, many devotees came, and the reports of the event were extraordinary. Everyone there felt that Srila Prabhupada had manifested himself again. His Holiness Sacinandana Swami, who hadn’t served in Bombay earlier but who happened to be there for the celebrations, said that he felt Srila Prabhupada’s presence descend in a very tangible way. And everyone gave the credit to Sridhar Swami. With help from the Chowpatty and Juhu devotees, he had gotten so many devotees to come and made such wonderful arrangements for them. And when it was time for the devotees to give their remembrances of the early days of serving Srila Prabhupada in Bombay, he wouldn’t allow the gurus and sannyasis to overshadow other devotees. “We hear them all the time,” he said. We want to hear others.” Of course, the gurus and sannyasis also spoke, but mainly he wanted to give others the opportunity. He really was pandita sama-darsinah; he saw everyone equally. He truly saw the soul, and he appreciated everyone. He appreciated everyone’s goodness and wanted to encourage everyone. Jagat-purusa was in high ecstasy. He wasn’t speaking; the ecstasy within him was moving him to speak. And he said that he had not experienced such bliss in Krishna consciousness since the time he was in Bombay serving Srila Prabhupada. 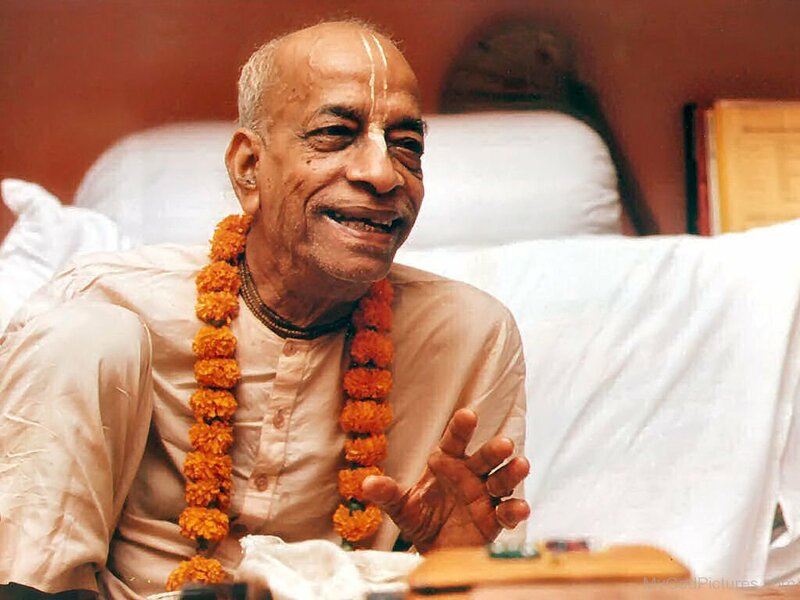 He just went on and on, emphasizing that it was the most memorable occasion of his life, and I think everyone felt pretty much the same way—they felt Srila Prabhupada’s presence. What more do any of us want? For us, the highest perfection is to be with Srila Prabhupada, and Sridhar Swami was instrumental in creating that situation in which Srila Prabhupada was pleased to manifest himself in such a vivid and personal way. After a few days of recuperating from that major effort, Maharaja wanted to travel again, so he came to Los Angeles. That time his schedule didn’t allow him to come to Carpinteria. Also, I think he was a little upset because I hadn’t come for the celebrations in Juhu, so he didn’t want to come to me. I went to him, and he was wonderful—as usual. After Los Angeles he went to Vancouver. While he was there, I began to consider that I had offended him because I hadn’t gone for the celebrations in Juhu. I don’t think I could have gone, but at the same time I was concerned that I had offended Maharaja. So I phoned him in Vancouver to apologize and explain why I couldn’t come, even though he (and many others) had so much wanted me to participate. I asked him to forgive me. He was very gracious. He was sorry I hadn’t come, and he did want to understand why I hadn’t. But he told me that I hadn’t committed any offense. In Vancouver Maharaja’s doctors found three places where cancer had affected his liver, which prima facie made him eligible for the transplant. But they still had to do more tests. When they did, the tests revealed that his cancer had spread beyond the limit allowed for transplants, and so his “only hope” was dashed, and it seemed like he was soon to leave his body. After that, we would speak every day, usually twice a day. And we had wonderful talks. The question arose whether he should go to Mayapur—and when. He decided he would go to Mayapur and concluded that he should go as soon as possible. No one knew how much travel Maharaja’s weakened body could bear, but with these three desires in his heart, he flew to London, where he was joined by Indradyumna Swami. (Maharaja’s sister, Fiona, had informed Indradyumna Swami of the doctor’s pronouncement: If Sridhar undertook the journey, he probably wouldn’t make it. And she added, “If that happens, I want someone to be there with him.”) So Indradyumna Swami flew to England to accompany Maharaja to Mayapur, and he was very apprehensive. In London, devotees had rented a room for Maharaja in a hotel near the airport. He was so sick and weak that he could hardly walk. The devotees just had to get him from the airport to the nearest place possible—as soon as possible. Maharaja wanted to reciprocate with the disciples who had come to be with him. He said, “The king is good for the people, and the people are good for the king. I never had my own family, but when I had disciples, I was able to benefit tremendously. I felt emotions I thought I never would. I just don’t think it will stop. When we love one another, we are together. Of course, when I leave, we can’t play football [soccer] together. But I can come along in the form of a picture.” It was so bittersweet; Maharaja was so sweet and so humorous. “When I leave,” he told them, “we can be together in more significant ways.” He said that love in separation was actually stronger than love in one’s physical presence. When we are with people we love, we may take them for granted. But when they are gone, we realize how valuable their association was and how much we loved and still love them. And the feelings can become even more intense than when we were with them. There were some disciples who hadn’t received second initiation, so Maharaja decided he would initiate them. But because of his disease, his brain didn’t always function properly. Toxins went to his brain, and then, too, he had to take a derivative of opium to kill the pain, as prescribed by the doctor. Anyway, he decided, “Okay, I’ll give second initiation—but all together, all four at once.” He began reciting the Gayatri mantra for them, “Om bhur . . .”—but then he couldn’t remember the next word. He asked Indradyumna Swami, “What comes next?” Indradyumna Swami pronounced the word, and Maharaja repeated it to his disciples. When Maharaja couldn’t remember the next word either, he told Indradyumna Swami, “Look, why don’t you just say each word, and then I’ll repeat it, and the disciples will hear it from me.” So they got through the first two lines. Then Indradyumna Swami, who himself was exhausted from his long flight from South Africa, couldn’t remember the next word. So Sridhar Maharaja asked, “Are there any brahmans in the house who know the next word?” Then one brahman told the word to Indradyumna Swami, Indradyumna Swami repeated it to Sridhar Swami, and Sridhar Swami repeated it to the disciples. You may have heard how Maharaja arrived in Calcutta. Jayapataka Maharaja had sent his van to pick him up, and Sridhar Swami lay unmoving in Jayapataka Maharaja’s bed in the van all the way from the airport to Mayapur. In Mayapur, thousands of devotees came out to receive him with kirtan—sometimes roaring and sometimes soft and sweet. Everybody cracked up. Maharaja was so funny, even in the most dire circumstances. The devotees were going mad; they didn’t know whether to laugh or cry. The situation was so critical, yet Maharaja was so funny. Anyway, Maharaja told me that story on the phone—I think he rather liked it. So, jivo va maro va: a devotee can live or die. Both are the same. Certainly that was true of Sridhar Swami: He could live or die, because if he lived he would serve Krishna here, and if he died he would serve Krishna in the next life. For him, life and death were the same (jivo va maro va). Thus, he was truly fearless and jolly. He really had no fear of death. Although he wanted to stay so he could preach, he wasn’t afraid of death. 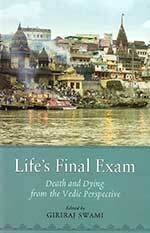 He knew he would continue to serve Srila Prabhupada in the next life. Indradyumna Swami was choked up, because he was feeling he would never see Maharaja again. This was it—saying good-bye. So he said, “Maharaja, I have come to say good-bye.” Maharaja said, “Don’t say good-bye.” Indradyumna Swami replied, “I may never see you again in this life.” Sridhar Swami responded, “Don’t you know that old song?” And he sang: “Happy trails to you, until we meet again.” And that was it. So, I think that—“happy trails”—is a good conclusion, especially for Indradyumna Swami, because his trails take him all over the world. Yet all of us, in our own ways, have our own trails and paths in devotional service, and Sridhar Swami wishes that they be happy—until we meet again. I wanted to phone Maharaja every day, but the way it worked out with the time difference and all the difficulties in just getting through to Mayapur, we only managed to speak every third day or so. The last time, two days before he left, he was having a good day. The previous day had been a bad one, but the night before, they had given him some additional medication. So when I spoke with him that last time, he was having a good day, and we had one of the best talks I have ever had with anyone in my entire life. We spoke mainly about the Mayapur project and Srila Prabhupada’s mission. It’s really something that I’ll cherish for my whole life—the experience of it and the lessons it contained. That was Thursday, March 11. The next day, Friday, we installed beautiful brass Deities of Gaura-Nitai in our Carpinteria ashram. They had come from Vrindavan, originally commissioned by Mother Kirtida for Tamal Krishna Goswami. I felt that Their coming was also part of Sridhar Swami’s mercy, because he so fervently desired that the glories of the Pancha-tattva be spread and that we build the great temple for Them in Mayapur. So, two representatives of the Pancha-tattva had come, and I felt that Their arrival was his desire. On Thursday I had told Maharaja, “I don’t know if I will be able to phone you again before then, but the Deities have come and we will install Them Friday evening, and by your mercy we’ll try to serve Them and Their dhama.” And now, whenever I look at Their beautiful forms and appealing faces, I feel that we have to do something for Them—we have to build Their wonderful temple, as Sridhar Swami always reminded me. I think this may have been Maharaja’s main contribution in recent years, at least to me in my service: He impressed upon me—and upon our entire movement—the importance of the Mayapur project, of the adbhuta mandira, “wonderful temple,” that Nityananda Prabhu had desired for the service of Chaitanya Mahaprabhu, and that Bhaktivinoda Thakura had envisioned. Maharaja’s whole life was dedicated to Srila Prabhupada, and I think he felt that this was one of Srila Prabhupada’s main desires left to be fulfilled. And he felt that we had to do it—and that we had to do it; it would benefit the whole society, and the whole world. He would quote Ambarisa Prabhu: “This will be the tide that will make all the boats rise.” So, although Sridhar Maharaja left so many wonderful legacies for us in terms of his personal qualities and activities, one legacy that may serve to unite the movement and fulfill one of Srila Prabhupada’s main desires is his inspiration to push on the construction of the great temple in Mayapur. Of course, how long we have to do what they have asked—what they would want—all depends on Krishna. Therefore, whatever time we do have left we should use in the best possible way—in Krishna consciousness. His Holiness Sridhar Swami Maharaja ki jaya! Srila Prabhupada ki jaya! Sri Pancha-tattva ki jaya! Nitai-gaura-premanande hari-haribol! Three days after Sridhar Maharaja left, while I was on my daily walk, I suddenly began to feel blissful, and I felt Maharaja’s presence. Then I felt that he gave me two instructions. The first was, “I am still here. Be happy.” And the second was, “Just be yourself. Each one of us has his own contribution to make, so just be yourself and make your contribution.” And then he left. Thank you, Maharaja. We love you.